While it’s certainly not cold by some people’s standards, lying half-clothed on the beach is pretty much out of the question this time of year—well, you could, but it might not be pleasant. So what exactly is there to do on Hilton Head in the off-season? The answer is, quite a bit. One of the best things about the cooler months is that some of the nuisances of warmer months have receded, if not entirely disappeared. This includes bugs. Those who aren’t from warm southern climates are often astounded by the sheer number of insects that cohabitate with citizens of the Lowcountry. Three offenders stand out in particular—the extra-large flying cockroaches that locals call Palmetto Bugs, the swarming and biting gnats so tiny that they’re referred to as no-see-ums, and the ever present mosquito, South Carolina’s unofficial state bird. In the cooler months these three pests take a break, meaning you can leave the bug spray at home. The other benefit is that the crowds are gone, meaning that there is no better time for a quiet hike or paddle. You’ll also find great rates at hotels that are looking to fill their rooms while things are quiet (as long as you’re not visiting during a holiday). While sunbathing may be a no-go in the off-season, a sunrise or sunset walk on the beach is a memorable way to take in the view. With that in mind, take advantage of reasonable prices while you can and book a beachfront room somewhere along Hilton Head’s twelve miles of sandy waterfront. Hotels toward the interior of the island offer even more affordable rates. 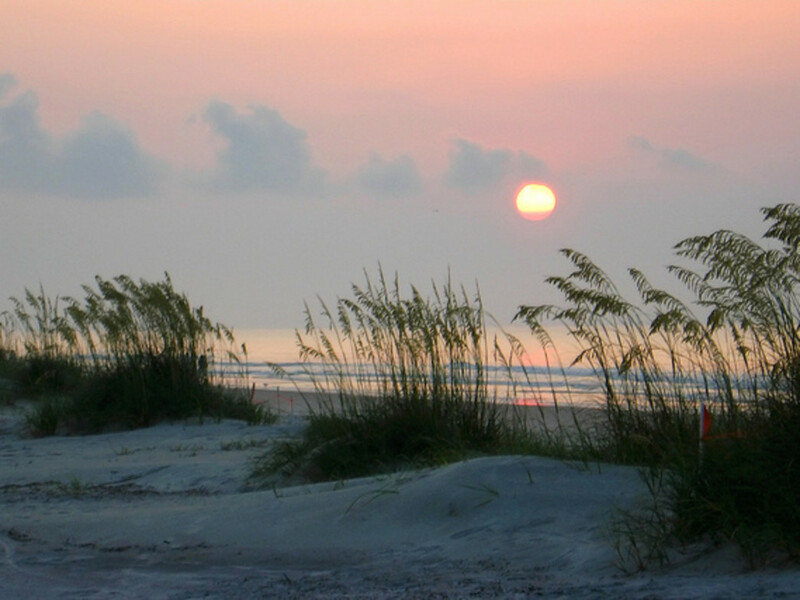 For camping, you'll have to head to Hunting Island State Park. During the off-season you can get campsites for as cheap as $25. 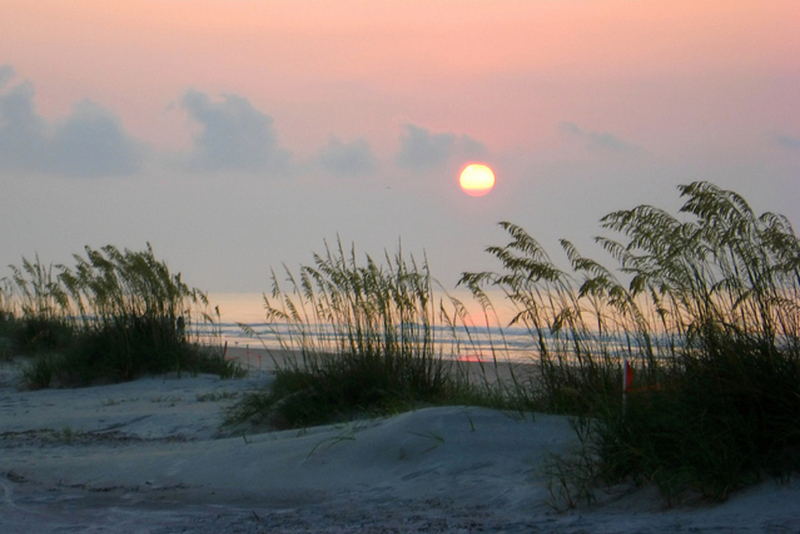 However you decide to spend the weekend, the quiet months are a great time to visit Hilton Head. You have until about April to take advantage of the off-season’s perks, plan your trip now to enjoy the island like a local. Once you’ve checked in, it's time to get out and explore. A great place to kick off your weekend is the Poseidon Restaurant . It is the latest addition to a stellar group of restaurants by the island’s Southeastern Restaurant Group (SERG) boasting a tasty lineup of seafood and other entrees and a top of the line oyster bar. Sit on the upstairs patio and you’ll have an incredible view of Broad Creek as you enjoy some local oysters. From here you can scout your kayak trip for the next day. On Saturday morning, wake up early and get out on the beach, it will probably be chilly so make sure you bundle up. If you’re not staying on the beach, head to Burke’s Beach for a morning walk. A sunrise over the Atlantic is an experience that is hard to beat, and something about a crisp morning and an empty beach just enhances the beauty. After you’ve had your fill make your way to the Palmetto Bay Sunrise Café. Here you’ll find some of the best breakfast on the island. What makes it even better is its location—literally a minute from the Cross Island Boat Landing. Bring your kayaks to breakfast and get out on the water after you have your morning coffee. It will be chilly, so make sure you’re prepared for a day of cold weather paddling. 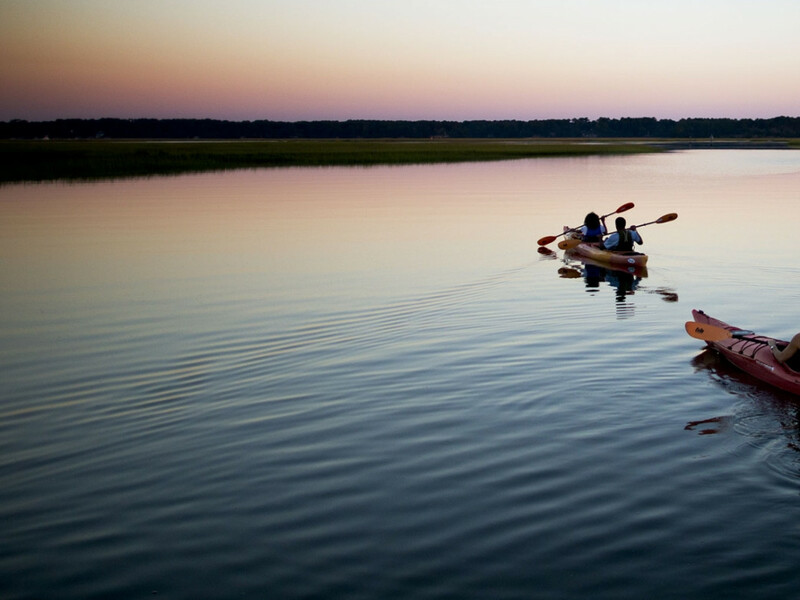 Launching from here gives you the option of a calm paddle through Broad Creek or a challenging open water paddle across Calibogue Sound to Daufuskie Island. With so many options to explore you can easily spend a better part of the day on the water, but if you’re back in time for lunch look no further than Lowcountry Backyard for some authentic coastal cuisine. After lunch, go for a quick trail run before heading back to home base to regroup and get cleaned up for the night ahead. 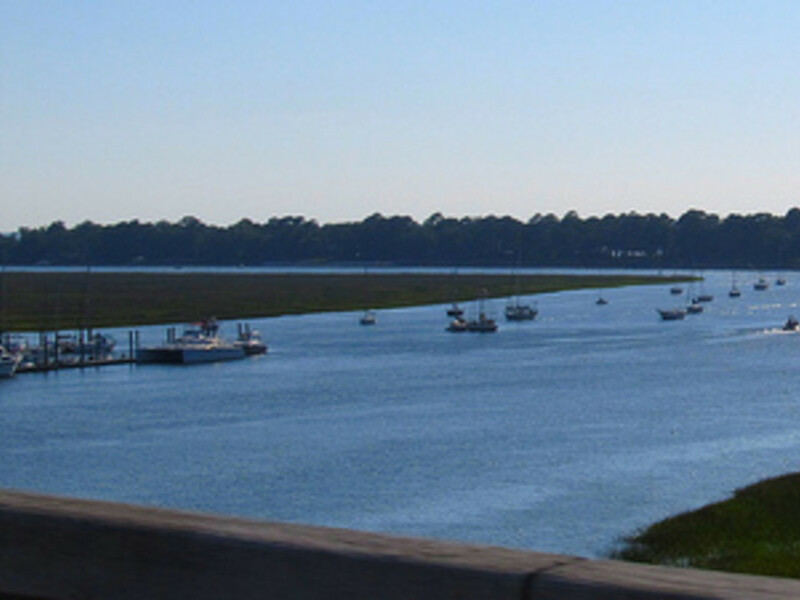 Hilton Head is home to more than 300 restaurants, impressive for such a small island. You really can’t go wrong, but Lucky Rooster Kitchen and Bar and Old Fort Pub will both satisfy after a long day outdoors. If you’re up for a drink after dinner you can head to “The Triangle” near Sea Pines plantation. It boasts a great collection of bars all within walking distance of each other. The Lodge in particular has an impressive selection of craft brews on tap and a relaxed atmosphere. 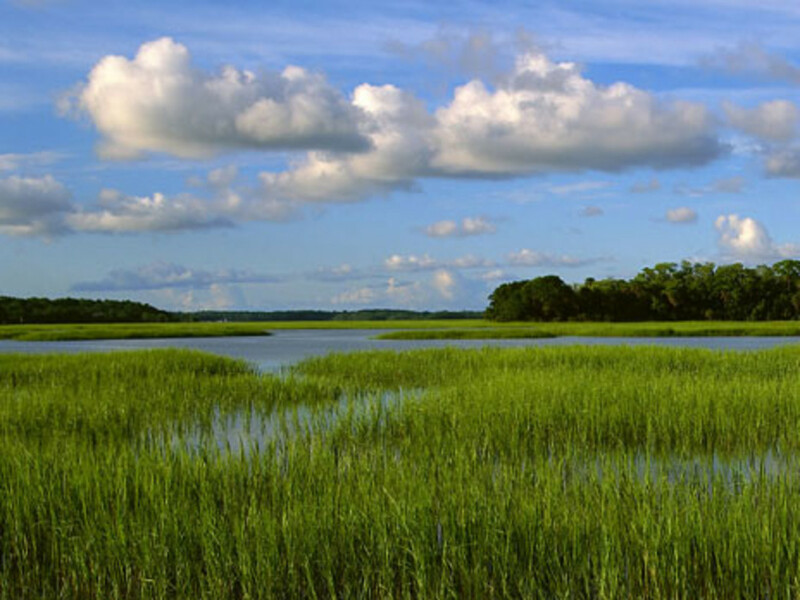 Sunday morning calls for a relaxing hike on Pinckney Island , or you can head to the Sea Pines Forest Preserve for some great hiking as well (just remember that you’ll have to pay a $6 entry fee). Both of these should be delightfully unpopulated in the off-season. If you’re up for a bit longer of a drive, the Savannah National Wildlife Refuge is another solid option, and is about 45 minutes down the road.